In an effort to highlight places of interest in countries across the world, their varied culture, economy and history, The Statesman brings to you a Weekly Focus on countries with which India shares diplomatic ties and friendship. This week’s focus is on Ethiopia. Know all about the country. The major state holidays are New Year’s Day on 11 September, Victory Day of Adwa, Ethiopian Patriots Victory Day, Labour Day, and the Downfall of the Derge. 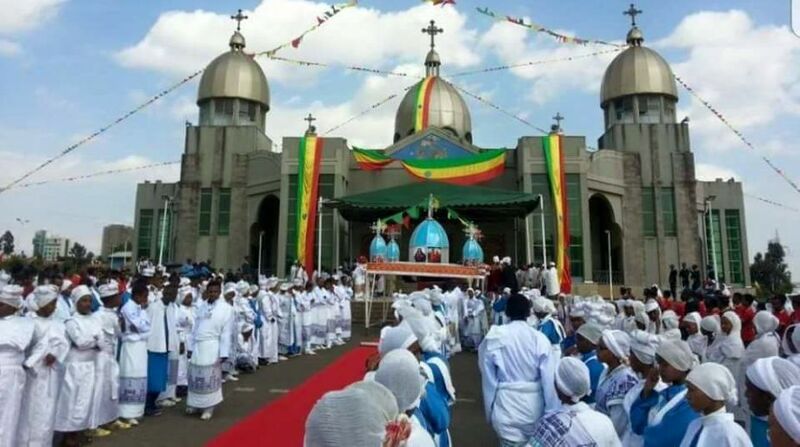 Important Christian holidays include Meskel, Christmas, Timkat, Kiddus Yohannes and Easter. Important Muslim festivals are Ramadan, ‘Id al Fatr and ‘Id al Adha. Muslims celebrate the Prophet Mohammed’s birthday on 20 September and mark the anniversaries of numerous martyrs. Meals are based around the bread-like injera, made from an endemic grain called tef. Sauces, meats and stewed vegetables are then placed directly on the injera, which is eaten with the fingers by tearing sections bit-by-bit. The spiciness of the sauces vary according to the amount of berbere, Ethiopia’s famed spice-mix, used by the cook. Traditional Ethiopian food does not use pork because most Ethiopians are Muslims or Ethiopian Orthodox Christians. Although Ethiopian dishes can seem heavily dependent on meat, vegetarianism is well-understood due to the strict fasting rituals of the Orthodox Church. Every Wednesday and Friday, as well as during the 55 days of Lent, meat is not eaten. Some of the specialities are Wat, Dulet, Enkulal tips, Kitfo, Messer, Ayibe, Shiro, Tere sega and Kolo. The best time to visit Ethiopia is between January and March when clear, sunny days bring regular average daily temperatures of 25°C. The rainy season (April to September) brings soaring temperatures and humid conditions. August is the hottest (and wettest) month with temperatures reaching 45°C regularly in the lowlands. In the highlands temperatures are much more moderate but sightseeing is hampered by downpours of rain. Night time temperatures in highland areas often drop to between 5°C and 10°C during November and December. The exact figures of Indian community in Ethiopia is not available since many of them residing/employed in Ethiopia have not registered with the Mission. It is estimated that the size of Indian Diaspora is between 5,000 and 6,000. The early settlers among the Indian community in Ethiopia came from Gujarat in the later years of the19th century. Bilateral trade in 2016 stood at US$1.37 billion. Exports from India mainly include primary and semi-finished iron and steel products, drugs and pharmaceuticals, machinery and instruments, manufactures of metal, etc. Major imports by India from Ethiopia were pulses, precious and semi-precious stones, vegetables &amp; seeds, leather and spices. Sugar and pharmaceuticals are India’s major export items to Ethiopia, accounting for 14.5% and 13.0% respectively of India’s total exports to Ethiopia. India is the third important source of imports for Ethiopia, contributing 7.7% of all of Ethiopia’s imports, next to China and USA. There is no Ethiopian investment in India. 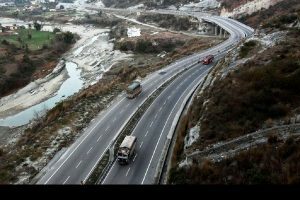 Indian companies maintained their reputation as being in the top three foreign investors in Ethiopia with newer Indian multinationals marking their presence in Ethiopia. There are more than 540 Indian companies in Ethiopia with licensed investment of over US$ 4 billion, of which about US$ 2 billion is estimated to be on the ground. Indian companies have invested in various sectors like agriculture and floriculture, engineering, plastics, manufacturing, cotton and textiles, water management, consultancy and ICT, education, pharmaceuticals and healthcare. About 55% of Indian investment is in the manufacturing sector, followed by agriculture (18%). Some major investments by Indian companies announced in 2015 and 2016 include Asian Paints, Arvind Mills, Raymonds, Kanoria, Fontana Flower PLC, Balaaji Manufacturing PLC, Samaka Stones Pvt Ltd Co, MSP Steel &amp; Power Limited and Esdee Paints Limited and Velocity Apparel. Visa: Indian Passport holders can also get a Tourist Visa for 30 days on arrival, at an Ethiopian airport. The Visa fee to be paid in US$. Other documents required to get visa are: the applicant’s passport (6 months’ validity from date of issuance of visa), 1 visa application form (photocopy allowed), 1 latest passport-size photograph, covering letter giving the purpose of visit with the application form, confirmed return air ticket and hotel reservation, letter of invitation (if visiting relatives in Ethiopia, then duly attested by the Ministry ofImmigration in Ethiopia), bank statement for the last 6 months, Yellow Fever vaccination certificate, proof of funds and a declaration mentioning that the traveller holds sufficient funds to cover the period of stay @ US$ 50 per day and that, the traveller will stay in a foreign tourist hotel in Ethiopia. Danakil Depression: Positioned on the border between Ethiopia and Eritrea, it’s officially one of driest and hottest places on Earth. Temperatures often reach 50+ degrees. This is a surreal piece of real estate that’s strewn with active volcanoes, salted basins, hot springs and a lava lake, all of which combine to create a very lunar-like landscape. Sitting below sea level, it’s the lowest point in Africa and second in the world (after the Dead Sea). Lalibela: This medieval settlement was designed to be a kind of second Jerusalem and modern day inhabitants remain proud of this distinction. Perched in the middle of a broad church complex made entire of rock, there are 11 churches in the settlement, monolithic and grand, all built by King Lalibela as early as the 12th century. The most famous, and most beautiful, is St George’s Cathedral. An awe-inspiring sight. Harar: This holy, historic and walled city is a mesmerising web of narrow alleyways. Built in the early 16th century, it’s the oldest Islamic city in Africa. It was once the commercial link between Africa and the Middle East and today is an enchanting lost-in-time city that’s famous for the impressive walls and centuries old buildings. There are roughly 99 mosques within the city. A popular attraction is the nightly ritual of feeding hyenas, which happens on the outskirts of the city. The Blue Nile Falls: The Nile River is the longest in Africa and its two tributaries are the White Nile and the BlueNile. About 90 minutes from Bahar Dar, the scenery here is truly breathtaking. Locally known as Tis Abbay, or Great Smoke, the falls are about 45 metres high during the rainy season. Just downstream from the falls one can find Ethiopia’s first stone bridge, built in the 17th century. Other tourist destinations include Babile Elephant Sanctuary, The Rift Valley, The Omo Valley, Gondar, Aksum, Addis Ababa, Simien Mountains, Bahar Dar, Lake Ziway, Lake Chamo and Arba Minch.